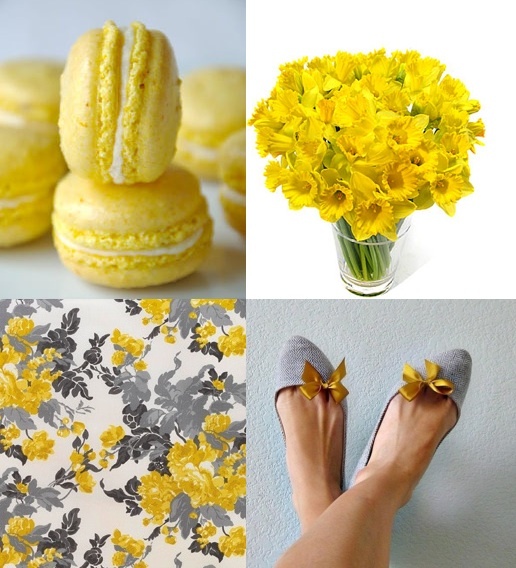 The daffodils may have already displayed their sunny show for spring but yellow is here to stay! Bright yellow is everywhere this season and it finds a balance with a bit of soft gray. A perfect statement for just about any type of celebration is the Lemon Drop! 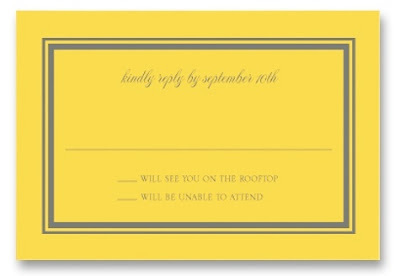 Invitation and Reply Card from our Vera Wang collection. 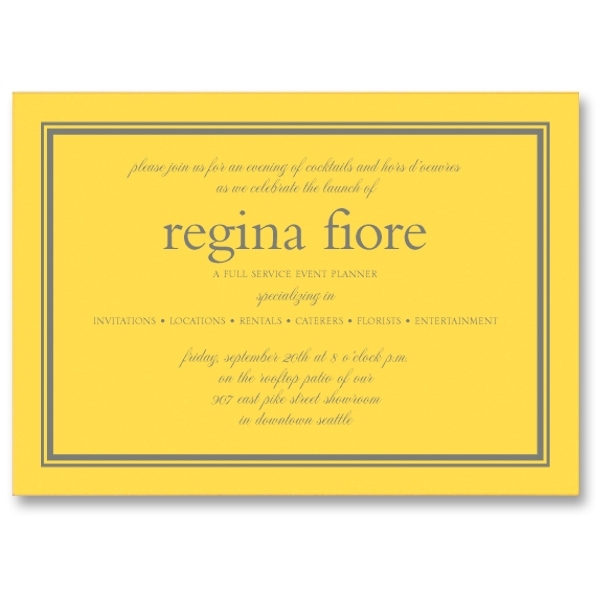 To see more yellow stationery, click here! 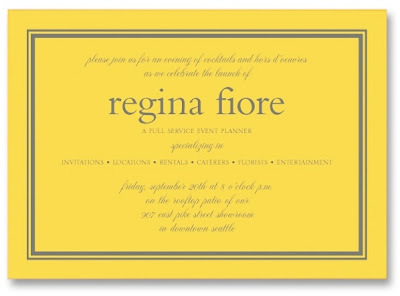 I love bright yellows for stationery and fashion! The bows on the shoes are adorable! Hi Jen! We do, too and from the Queen's yellow attire at the Royal Wedding to the latest Chanel [Resort Collection 2012], yellow is here to stay!! Who would not want to receive a sunny colored Vera Wang invitation in the mail. Classic but yet youthful. Jen, just saw your yellow post... we are in sync!